Creighton Prep High School partnered with the City of Omaha Stormwater Program to tackle several stormwater issues relating to drainage, flooding, and erosion on the south end of the school’s campus. 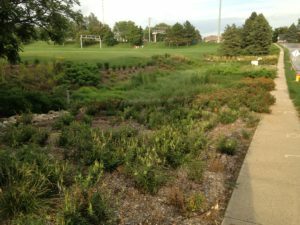 In the summer of 2014, a bioretention garden and permeable pavement patio were constructed parallel to Western Avenue to address these stormwater issues. 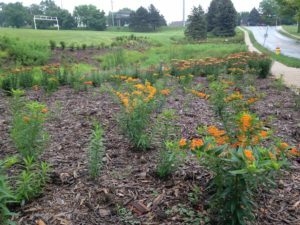 The bioretention garden was designed to collect and treat stormwater runoff from a 2.7-acre drainage area including the adjacent sports fields to the north of the garden and a parking area located northwest of the garden. 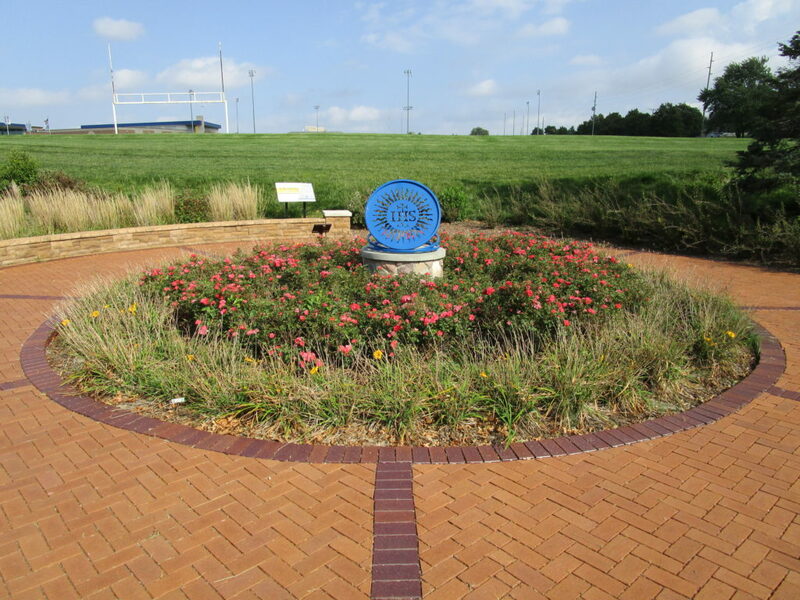 The permeable pavement patio collects additional sheet flow from the athletic fields where it is stored under the permeable pavers and directed into the bioretention garden. 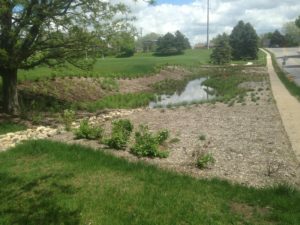 This collaborative effort has provided a unique opportunity for students and the community to learn about and incorporate green infrastructure practices and principles into the landscapes for better stormwater management. The City of Omaha Stormwater Program has utilized various monitoring technologies to assess the performance of the Creighton Prep bioretention garden over time. 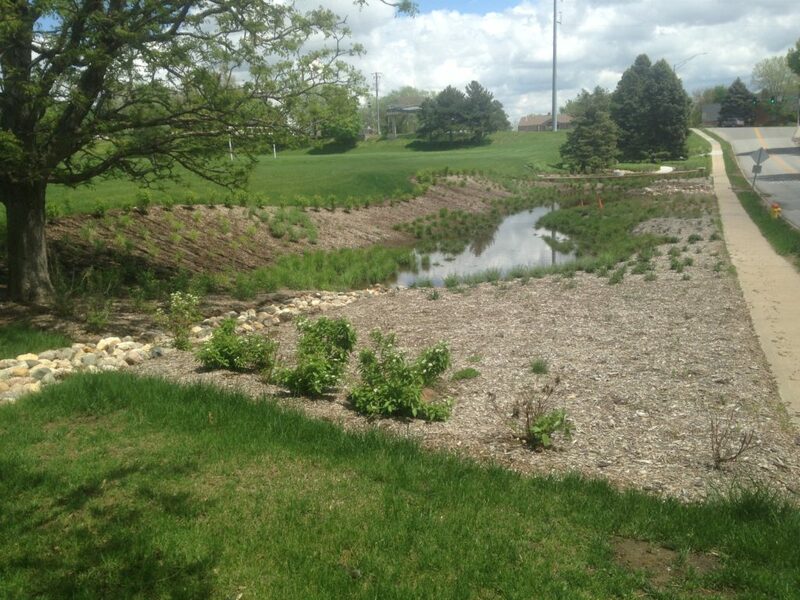 Flow monitors, moisture sensors, water level (pressure) sensors, and a rain gauge are installed on site. 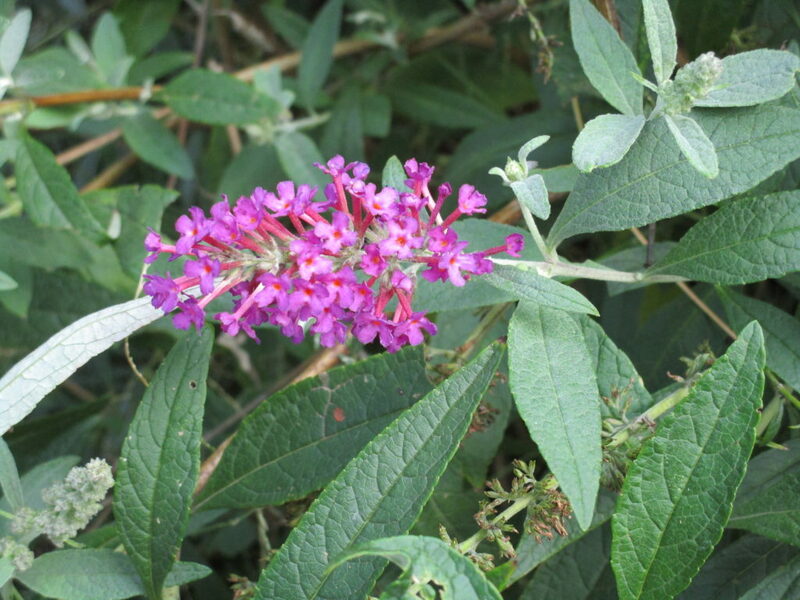 This data allows for better characterization of water movement within the bioretention garden during various storm events. 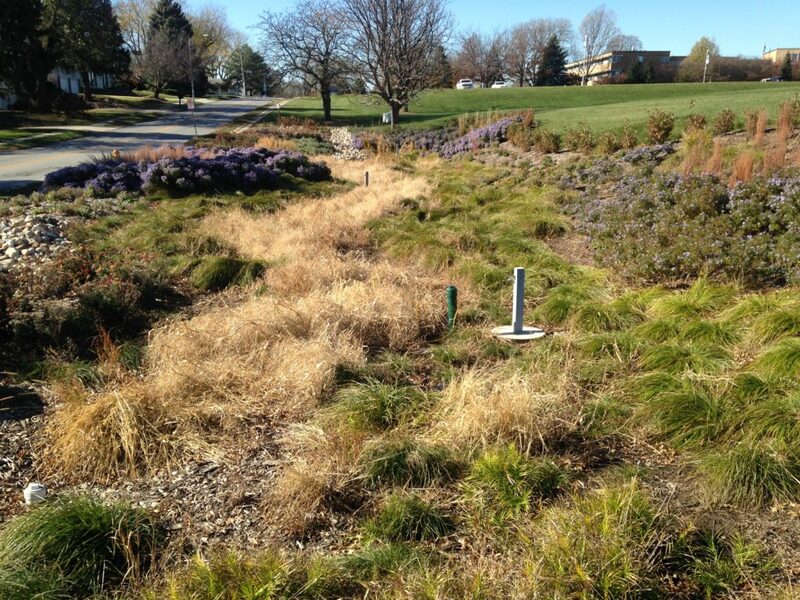 In addition, automatic samplers have been incorporated to collect water quality data from both the inlet and out structures of the bioretention garden. This data allows the City to assess the gardens ability to treat and remove stormwater pollutants. 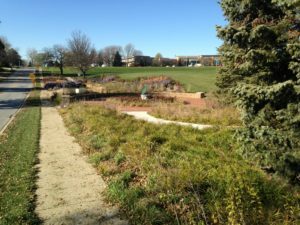 Dedicated to the late Norma C. Dow, this area consists of a large circular permeable pavement patio on the east side of the bioretention garden. In the center of the patio lies a beautiful arrangement of Stella De Oro Daylilies and Coral Drift Rose bushes, providing a vibrant display of red and yellow flowers throughout the summer. A retaining wall along the west side of the patio creates a natural break between the bioretention garden and provides a perfect place to sit, reflect, and enjoy the natural beauty. 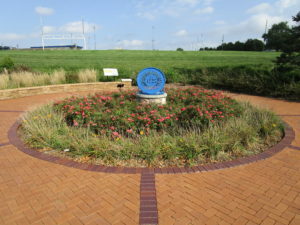 Within the patio area there are educational signs highlighting how green infrastructure and bioretention gardens work and identification of the plant species incorporated into the landscape for this project. 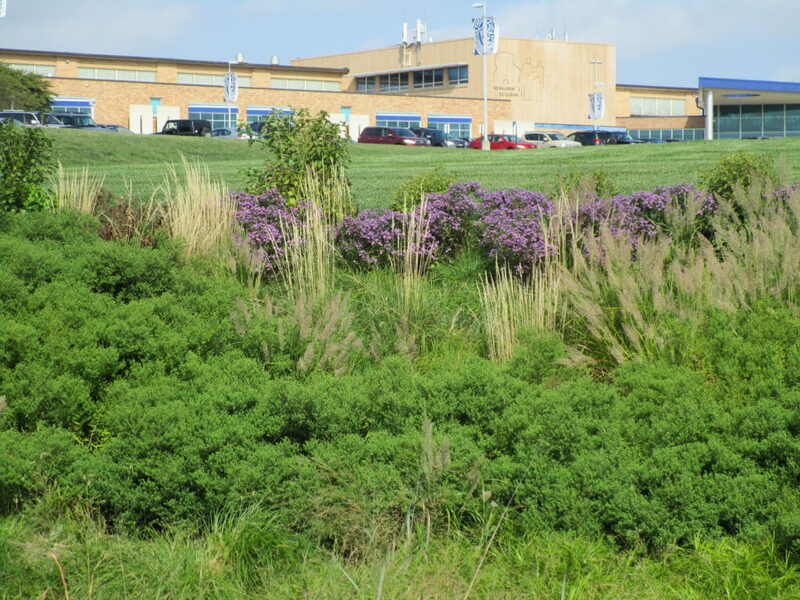 Creighton Prep, the City of Omaha Stormwater Program, designers, and contractors worked closely with several student groups during the planning and design phases of the bioretention garden. This provided a hands on opportunity for students to develop working relationships with professionals, learn about stormwater and green infrastructure principles, and gain real world expertise. Student groups involved on the project included the Creighton Prep Architecture Club, the Creighton Prep Junior Green Jays, and the Creighton Prep Science Club. The bioretention garden at Creighton Prep High School incorporates several native and well adapted plant species. 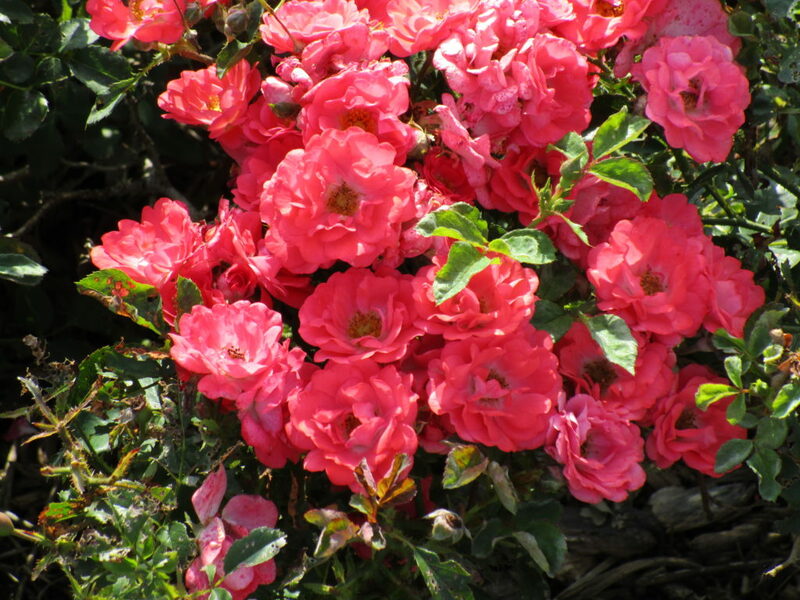 In addition, these plants have been selected to provide an aesthetically pleasing landscape of color throughout the growing season. 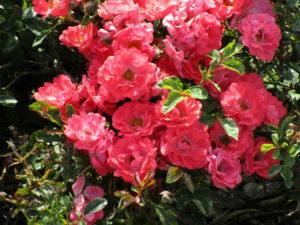 A few plants included in the design were Aromatic Aster October Skies, Arizona Sun Blanket Flower, Strawberry Seduction Yarrow, Bloody Cranesbill, Butterfly Milkweed, and Blue Muffin Viburnum. For more information check out the Creighton Prep Project Fact Sheet.